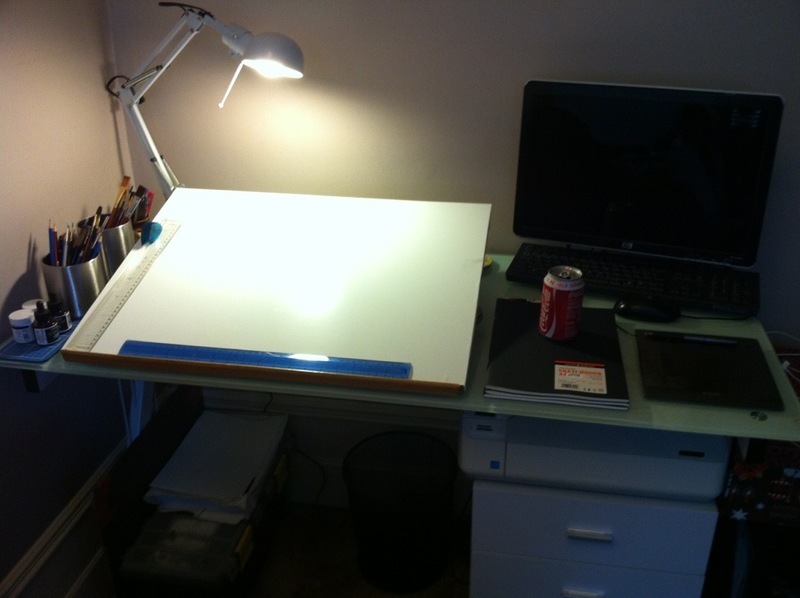 My new work station! Been long in the making. This IS a big deal for me as before I was using a TV dinner table and a file box. So this is a proper work area which I no long have to disassemble every time I finish working. Good times.